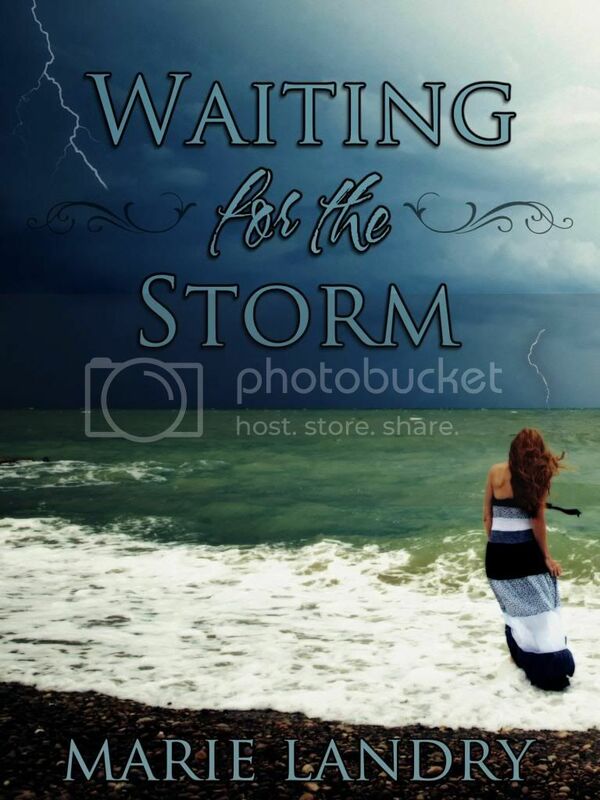 Tomorrow is the official launch of WAITING FOR THE STORM! I'm a bundle of excitement and nerves. Today I wanted to share another excerpt from the book. You can read the first excerpt here. Be sure to come back tomorrow because I'm going to have a big giveaway to celebrate the official release! A shrill sound pierced the silence. It was somewhere between a kettle shrieking and that incessant squeak of a swing set in desperate need of oiling. I pried my eyes open and blinked against the brightness of my room. The sunlight was soft and sparkly—early morning light—and I knew I couldn’t have been asleep long. The noise came again, startling me further awake. I realized it was the sound of seagulls squawking and screeching. I winced; I hated that sound. Seagulls didn’t usually come this close to the house. I’d seen them occasionally waddling along the beach picking in the sand for some leftover morsel, but most of the time they stayed away from the houses, preferring to fly around the lake in search of their next meal. I rolled out of bed, groaning when I saw it was only seven o’clock. Ezra had dropped me off just before four, and I’d gone to bed almost immediately. It was hard to believe that just a few weeks ago, seven o’clock in the morning was my normal bedtime. I stumbled to the window, blinking my gritty, tired eyes. I threw open the curtains and looked outside, my gaze landing immediately on Ella, who was standing under my window throwing pieces of bread into the air. Ella jumped and whirled around, looking up toward my window. “Oh, I’m sorry. Did I wake you?” she asked sweetly. She reached into the almost-empty bag of bread she was holding and broke a slice into pieces before tossing it in the air. “They just look so hungry, don’t you think?” She dropped the bag into the sand and brushed her hands off, watching as the gulls converged on the last of the bread. She angled her head up to look at me again, her eyes flashing with malevolent glee. It was then I realized she was wearing the same clothes I’d seen her in last night at the diner. “Hope you had fun last night,” she called up to me. “I know I did.” She gave me a little finger wave and sauntered toward the porch, disappearing inside the house. I sank down onto the window seat, listening to her soft footfalls on the stairs, followed by her bedroom door closing. Was she just getting home now? What had she been doing all night? I shuddered. I didn’t want to know. It was none of my business. Ella was a big girl and if she wanted to do stupid things with bad people, that was her choice to make. As much as I wanted to save her from herself, she didn’t want my help, and she wasn’t my responsibility. I wanted so badly to talk to Dad about the whole thing, but I was afraid it would be pointless and I’d just end up feeling worse. *sigh* I am so eager to re-read this one, since I read it in an early version. I just know the HEART of it will be the same, but I need another dose of Ezra. And yep. Still want to strangle Ella. *laughs* I am so excited for this book, and for the world to read it! Another good choice for an excerpt. :) So excited for you--tomorrow will be a big day. :) I think a lot of people are really going to love Waiting For The Storm.